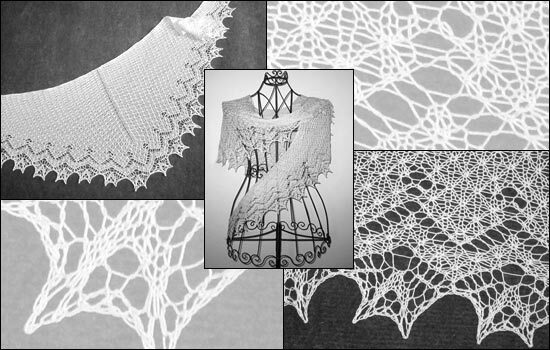 The half-circular shawl is worked from the middle of the shoulderline in one piece. The body is worked in a special stitch ("tulip stitch") that creates a lively, structured surface. The narrow and short points (10 rows) of the edging are easy to knit and add a floral finish to the shawl.